Motorcycle luggage. 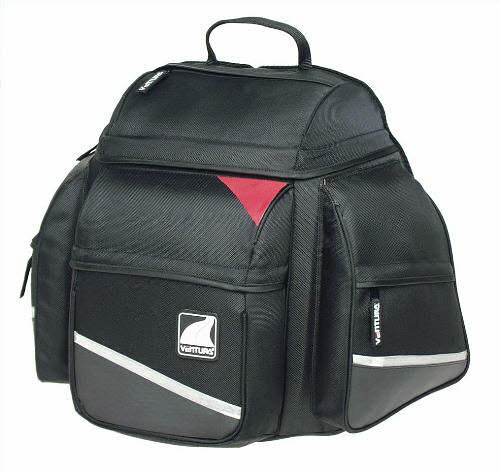 Out of all your motorbikes accessories, motorcycle luggage can have the biggest impact on your ride. The Aero-Spada VII Bike-Pack from VENTURA is engineered to sit securely on your bike. Fitting perfectly into the VENTURA Bike-Pack System, VENTURA Bike-Packs are the safest and easiest way to carry your motorcycle gear without load shift. They are designed aerodynamically to offer minimal wind resistance. (Contact us for price and availability of the pack rack to attach the bag to your bike).